The period of application for grants by AC/E, for the logistic expenses of having a Spanish artists in your festival or program, ends on 31st March. Check details below and discover a new proposal. 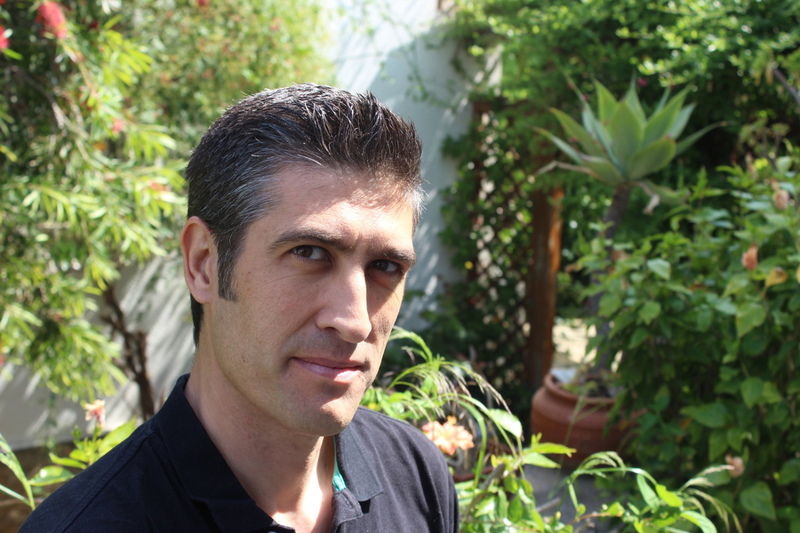 The new artistic director of Fira Mediterrània is Jordi Fosas. Find below his profile and an interview with him. Visa for Music opens the application period for artists. Check below for more open calls. 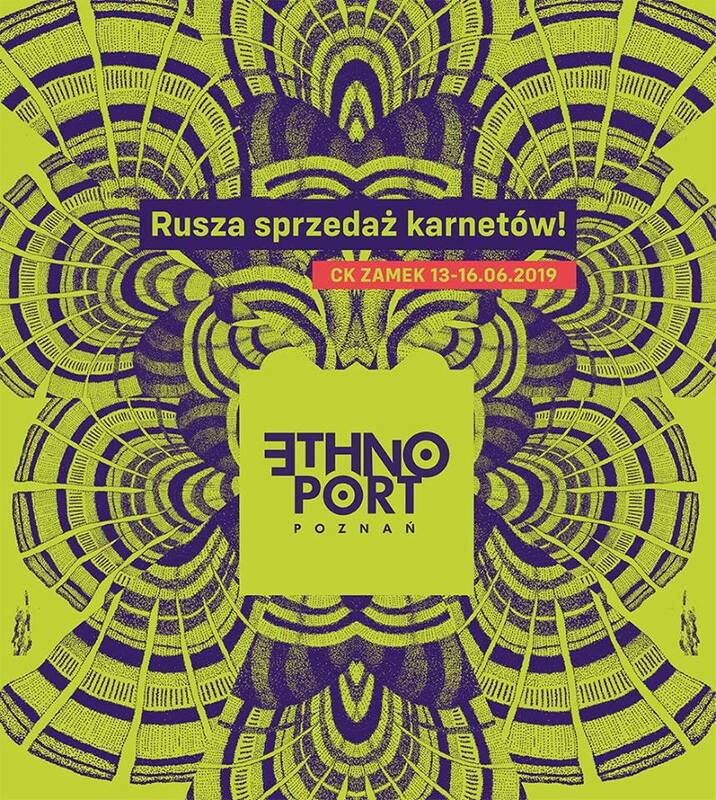 And, as usual, we continue the series of little interviews with festival directors, in this case with Bożena Szota from Ethno Port Poznań, and with many more useful infos for the community. If you have any suggestion of contents for the next editions, let us know. Thanks for your attention. Do you like our newsletter? Tell us! To sign up, click HERE. Last WOMEX we have a super nice moment with Josh and Tim from the band from London Don Kipper. 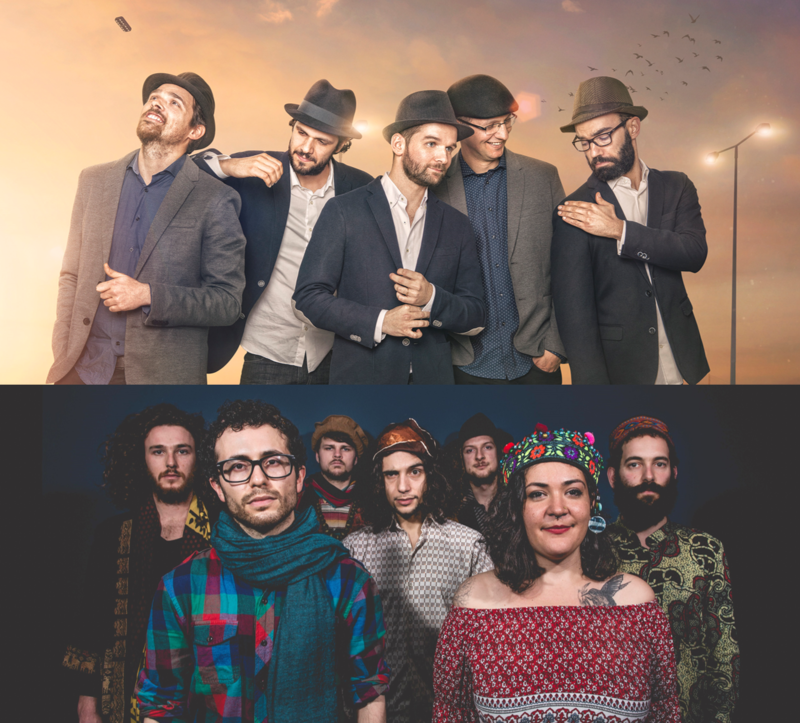 We are happy to bring them for our first collaboration, next April, on Sunday 14th, at the event Música en Primavera, by the city council of Coslada. They will play in a double program with our Portuguese combo Melech Mechaya. Details, here. Mapamundi is happy to share with you his answers and reflections in this little interview. We wish you the best, Jordi. Thanks for the enlightening statements! MM – Congratulations on your designation to this exciting position. What made you interested in it? JF – Thank you! I come from the world of popular culture and I have been working for many years on traditional dance. For example, directing the ÉSdansa Festival (ESdanza) and developing in it this “ES” (that means “is”) in the present indicative, encouraging the public to dance traditional dance today and promoting the realization of contemporary proposals based on traditional language. I have known the Fira Mediterrània from some of its possible viewpoints, as an artist, as a programmer and also as a collaborator. These last three years we have collaborated with the Fira in the development of the Premi Delfí Colomé, an initiative that we have promoted from the ÉSdansa Festival to promote new dance projects created from the traditional roots. I thought that I could contribute my experience to the artistic direction of the Fira and for that reason I presented myself to the call. 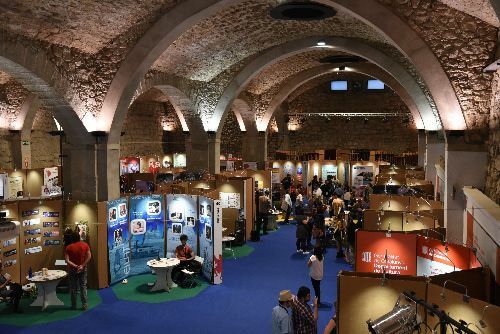 MM – The Fira Mediterrània has an international recognition as a fair where exciting proposals in the different disciplines that it includes are always discovered. How are you guys going to face this stage with you in the direction? Are you going to change something, are you going to give more weight to any subjects, any change of format, locations…? JF – The Fira Mediterrània has done a good work in these more than twenty years of trajectory. For this reason, we will continue building from the bridges already drawn by the previous directors. I believe that the projects are enriched and strengthened when a new director contributes from the experience of the previous directors. In the next years we will try to reinforce our brand positioning to help us articulate a circuit and generate discourse, essential elements to achieve our goal: market for proposals with traditional roots. We want to normalize that proposals that work from the traditional root are programmed. • and getting a Fira in first person from the formats that generate new forms of participation and educational projects. MM – Which will be at this phase the evaluation criteria to select the artistic proposals? JF – At Fira Mediterrània we want to show a tradition with no complexes, that works in the present and in excellence and this will be our criterion to draw the Fira’s programming. We conceive a Fira that works intersections with the 360 degrees of the tradition, from the heritage and all that corpus of testimonies that form the cultural heritage of society, passing through the entities of popular culture that connect this heritage with their society, until reaching the professional sector that creates from this tradition. We are especially interested in the intersections, relationships and exchanges between all these agents, especially, how artists and professional companies drink from heritage, tradition and popular culture. MM – What will be the balance in number of shows, in terms of concerts and other traditional culture shows? JF – We will continue backing an interdisciplinary and multidisciplinary Fira that gathers proposals from all the performing arts, from theater, dance, circus, visual arts, music … whether they are indoors or outdoors and in any of their formats. Our axis of programming is the traditional Mediterranean tradition in any discipline and format and we do not set a percentage for each of them. We will follow approximately the criteria that have been considered in recent editions. MM – In recent years, the Fira has included proposals from outside the cultural field of the Mediterranean. Will this line be maintained? JF – Yes, we will continue to program exceptional international proposals that stimulate the work of our artists and help us articulate discourse. We will focus on concrete proposals, but also on cities, territories, cultures … to see how the dialogue between tradition and contemporaneity works. We will work on it within the Fira’s State and International Action Plan. We will show and see other ecosystems, to see how a territory a structure, a project… is organized, works and creates. Pictures: Jordi Fosas’s Facebook profile; Llotja profesional, by Anna Brugués. Acción Cultural Española (AC/E) is a public entity dedicated to promoting the culture and heritage of Spain. In March they open the call to request support for the logistic expensesrelated to Spanish artists and experts in cultural issues, for events abroad taking place in the second half of the year. The application must be done by the foreign institution/programmer and Mapamundi Música has supported some clients in previous editions to fullfill the procedure, that in fact is not difficult. The results are usually published quite soon (around the 3rd week of April). 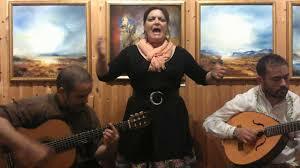 We can offer you our band Vigüela (in the picture) and Entavía. Check the next news, at the Mapamundi Música introduces…. As a proffesional working with folk music since 2002, I think I am very discriminating about the proposals, even more if they come from my own country. We have had great experiences with Spanish bands, like El Naán, with whom we are not working now but we keep a deep friendship and mutual admiration. 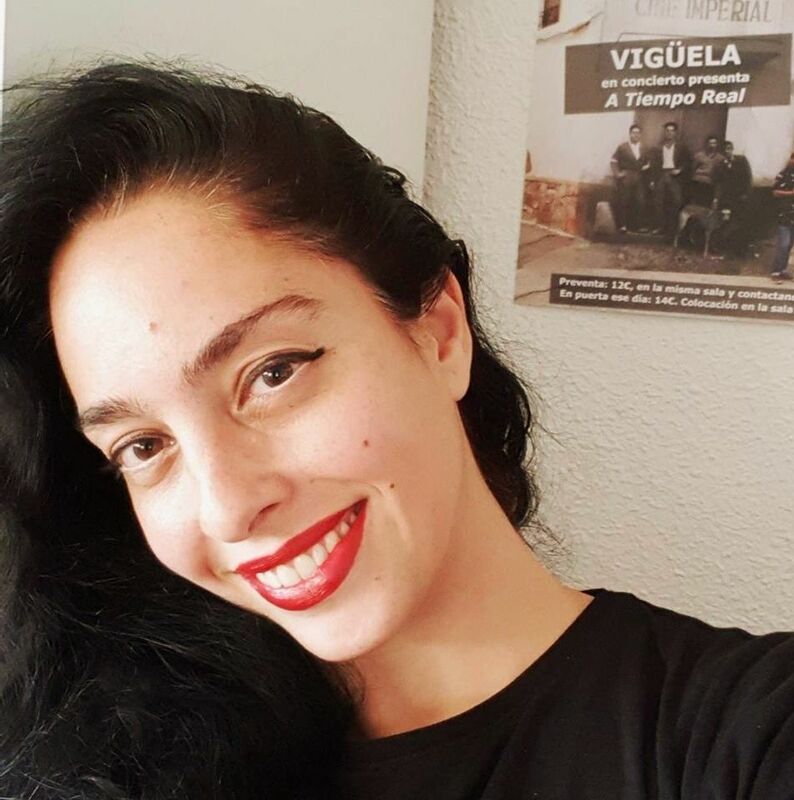 Apart of them and our beloved Vigüela and associated acts, I don’t use to get often excited enough to start a collaboration to promote a Spanish folk band. It has to be very very special. And… I first payed attention to this band, Entavía, in this videoclip for a panaderas style song with a poem written in 1931 by Miguel de Unamuno. It was like a premonition to a catastrophe that would happen some years after: the breaking down of the dam of Ribadelago, in 1959, that killed 144 of the villagers, of which only 28 bodies where found. 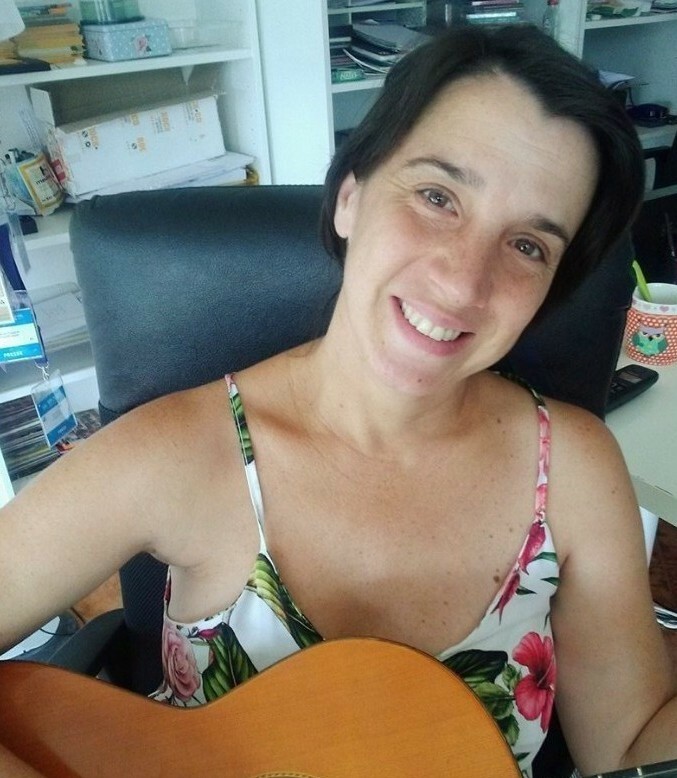 Entavía puts music to this thrilling poem in a tribute to the victims and a claim for the unfair treatment that Franco’s government gave to the survivors. Any question about Entavía? Tell me! · Visa por Music, Rabat, Morocco. Apply here. Until 15th of May. · Cyprus Rialto World Music Festival, Limassol, Cyprus. Apply here. Until 23th of March. · WOMEX. Still open until next Friday! Apply here. · Mercat de Música Viva de Vic. Open call for the 31st edition, until 29th of March. Apply here. · Mundial Montreal. Open call for the 9th edition, until 1st of April. Apply here. Over the four days of the festival, in the Polish city of Poznań hosts concerts, dance parties, performances, interdisciplinary actions, workshops, film screenings and meetings for analysis and reflection about the current and future challenges in our societies. MM – What do you search in an artist when you program? MM – Which are the global objectives of your festival? MM – What are the most complicated or difficult issues to deal with in your festival? BS – Modern forms of communication make it more easier to overcome organizational and logistic barriers. Differences in visas and tax regulations may be a problem. MM – Which are currently the main challenges for this kind of cultural proposals like yours? BS – Negating the need for intercultural exchange related to the increase of xenophobic attitudes, lack of support from the Ministry of Culture and weak interest of potential sponsors of the event. MM – In one sentence, summarize the reason/s to go to your festival. BS – High quality of program proposals and their diversity as well as unique atmosphere built by the community festival audience. · Vigüela will be in Germany in the 3rd week of July and in UK at the end of August and we are working on more dates and countries. Remember you can request support from AC/E for the logistic needs. In any case, if you are interested in them, just ask and we’ll make our best to reach an agreement. Remember we can offer the band alone and also the Polish-Spanish collaboration with Janusz Prusinowski Kompania and Maria Siwiec. · Monsieur Doumani will be in Germany in the 3rd week of July and they have confirmed many other dates in Europe for next Summer and Autumn. Ask us. And we get them in Spain again, very soon: 2nd of April. Yeah! · Rodopi Ensemble‘s first concert in Spain is confirmed: 18th July, in Palma de Mallorca. They are settled in Thessaloniki and available all year. · Gulaza are constantly touring. Ask us for the date of your interest. 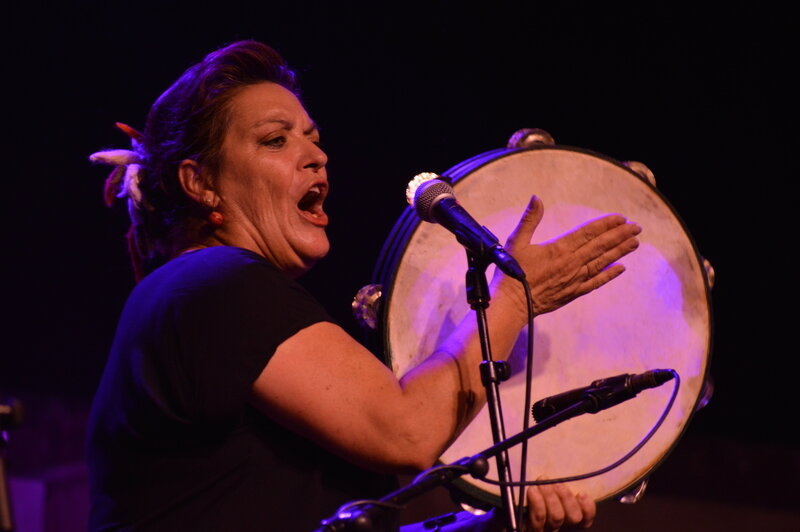 Their showcase at WOMEX was “the most extraordinary and talked about concert in WOMEX 2018” according to BBC Sounds. We work with more artists and special concerts and collaborations. Check them at our website. 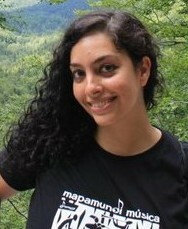 Mapamundi Música is an agency of management and booking. Learn more here. Check our proposals at our website. We also offer you our Mundofonías radio show, probably the leader about world music in Spanish language (on 46 stations in 17 countries). We produce the Transglobal World Music Chart with our partner Ángel Romero from WorldMusicCentral.com. And we lead also the Asociación para la Difusión de los Estilos. Feel free to request info if you wish. For further information about us, get in touch by email, telephone (+34 676 30 28 82), our website or at our Facebook. I am Araceli Tzigane. Welcome to Mapamundi Música’s February monthly newsletter. In the last edition we announced the leaving of David Ibañez from the artistic direction of the Fira Mediterrània and still today the new director is not published. We will share the news at our Facebook and our Instagram as soon as we know, so you can follow us there. The Fira is nowadays the most important fair of world music in the South of Europe, specially since Babel Med stopped after 2017’s edition. It is also a superb festival. Did you know they got the 4th position at TWMC Festival Awards? Yes, you know: we announced it in February newsletter. Application for the procedure of the Festival Awards is open. Below, we continue the series of little interviews with festival directors and with many more useful infos for the community. · We also have had back in Spain the Janusz Prusinowski Kompania, with a thrilling concert last Friday and they return next Sunday. Their 4th album, Po śladach, is haunting. 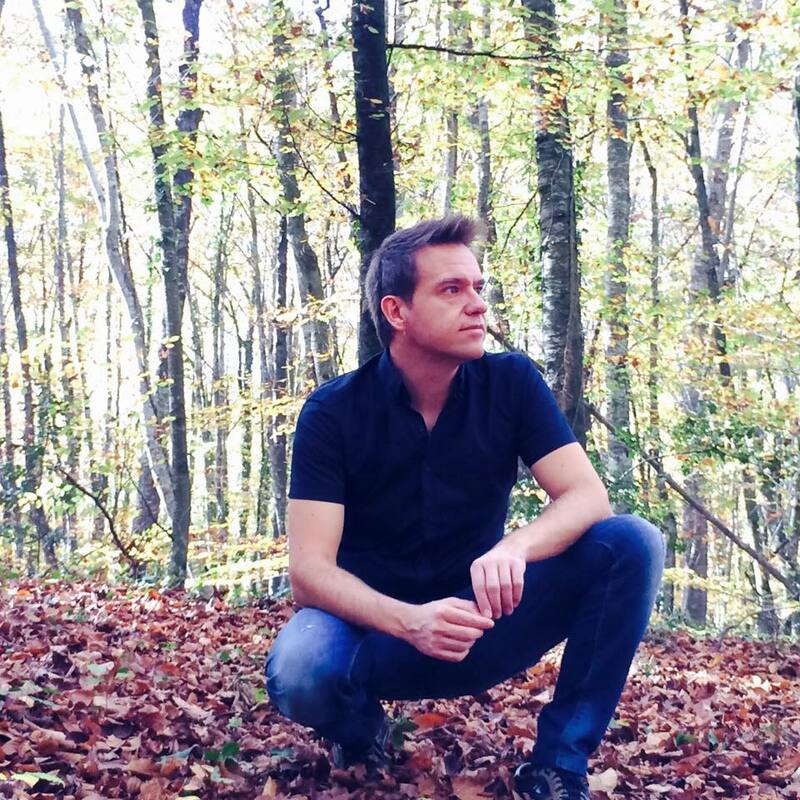 · I travelled to Switzerland for the premiere of the Mediterranean Odyssey concert, of which we’ll share videos soon. I had the luck of listening by my side one of the best singers of the world, Drosos Koutsokostas, from Rodopi Ensemble (better videos, soon). · We’ve been also working with Spain is Music, of which you have more info below. Do you like our newsletter? To sign up, click HERE. Acción Cultural Española (AC/E) is a public entity dedicated to promoting the culture and heritage of Spain. In March they open the call to request support for the logistic expenses related to Spanish artists and experts in cultural issues, for events abroad taking place in the second half of the year. We can offer you our band Vigüela (in the picture) and we can help you also if you need any other artist profile. · IX Targowisko Instrumentów, Warsaw. FOR INSTRUMENTS MAKERS. The call for proposals is open until 22th of February, next Friday. Apply here. · WOMEX. The call for proposals is open until 22th of March. Apply here. · Fira Mediterrània de Manresa. We are still anxiously waiting for knowing who is the new artistic director. The application is open now, until 4th of March at 15h local time. Apply here. Spain is Music. A new thrilling collaboration between us and this travel agency and consultancy firm is just starting. Their approach to travel design is boutique-like, totally personalized and result of a deep investigation of the most authentic experiences. 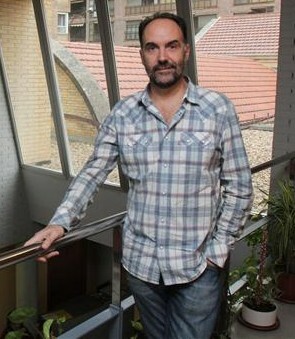 Picture: Pablo Camino, director of Spain is Music. 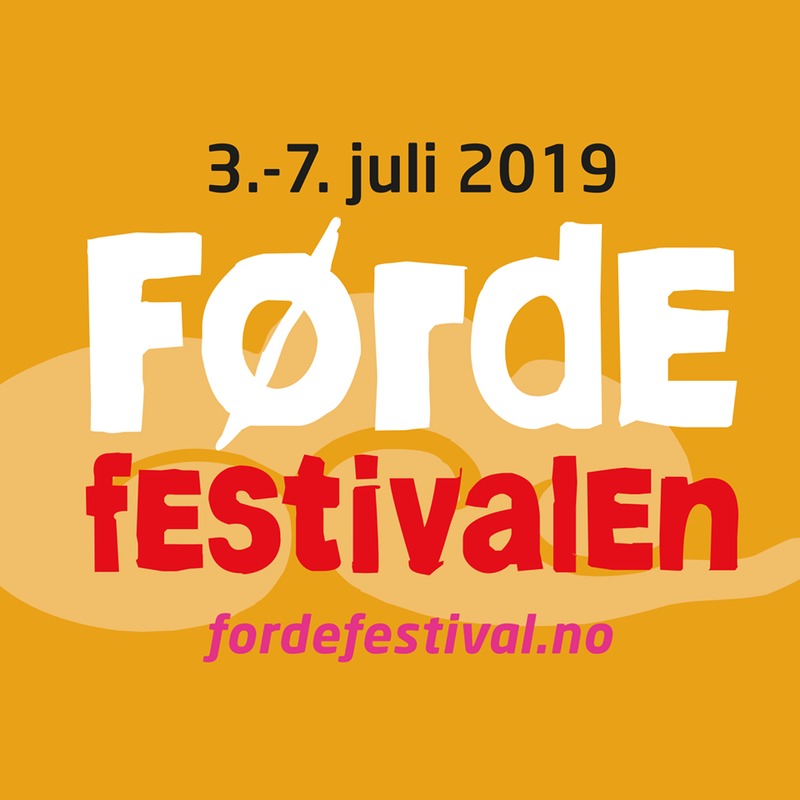 Førde Traditional and World Music Festival takes place in Norway at the beginning of July in many different and beautiful locations that combine nature with traditional and modern architecture. The program is a chant for understanding and always includes a huge variety of proposals. The festival has had Hilde Bjørkum as artistic director until the edition of 2019, that happens to be the 30th anniversary of the festival. Congratulations, team! The artistic director now is Per Idar Almås, who has been working at the Bergen International Festival and as artistic director in a chamber music festival near Førde. We wish him a super nice experience and joys in this important position. Hilde continues supporting the festival in special projects. Both of them are in the picture, taken from her facebook profile. The answers to the questions are by Per. Thank you, Per, for your answers, thank you, Hilde, for your vision along these years. PIA – We are searching for quality and uniqueness for all artists coming to our festival. Also, each year we are having a festival theme, and it’s a goal to have artists connected to that as well. PIA – Førdefestivalen wants to have artists from all over the world represented at our festival. It’s a very important thing for us to present international traditional music to our audience as well as our own traditonal music. It is getting more and more important with cultural understanding and exchange in this world, to break down boundaries and walls (our theme this year is “30 years without borders”). 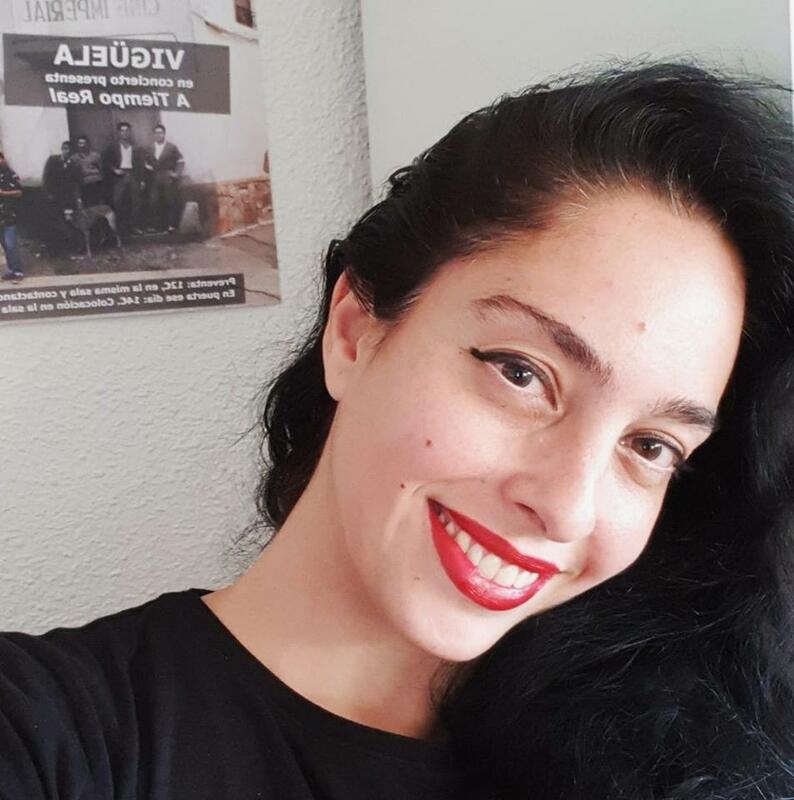 PIA – For the programming it is always a challenge to find the right mix of artists on the program, as there is so many good artists out there that we would love to present. We have so many artists who would like to come that we can`t even answer them all, unfortunately.MM – Which are currently the main challenges for this kind of cultural proposals like yours? 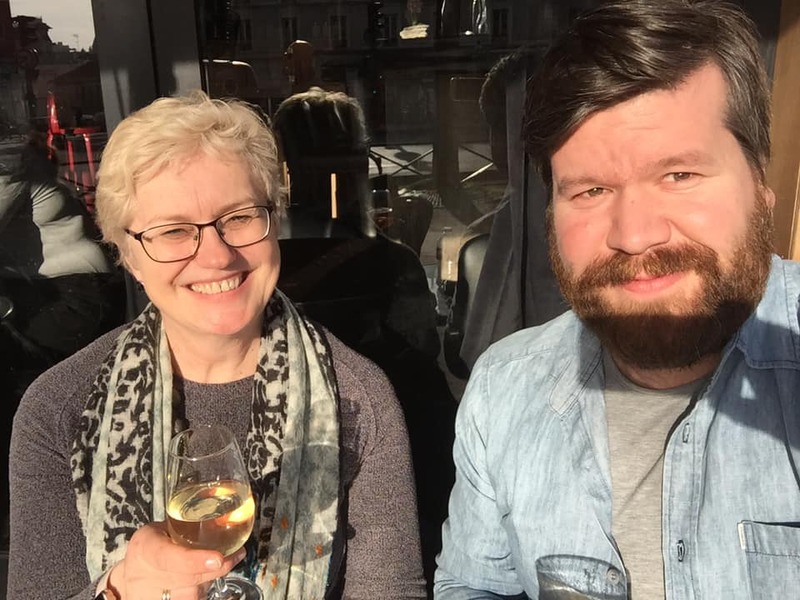 PIA – One thing that we have done in Førde in the past and that has become a bit more difficult in Norway now, is to get funding for youth exchange programs for Norwegian and international young musicians, which is sad because I really believe in the value of this concept. We are working on finding ways to do it, and I hope we soon can do this again.MM – In one sentence, summarize the reason/s to go to your festival. PIA – For one week in July the small city of Førde invites the world to town, with the best artists, the best music, the most beutiful nature and we’ll do our best to be the best hosts possible. Welcome! I am Araceli Tzigane. Welcome to Mapamundi Música’s January monthly newsletter. I hope you have had a great beginning of year if you happen to be in one of the cultures in which we have agreed on changing the year on 31st of December of our consensual calendar. If not, I hope you have had great time too! As we announced, the results of the Transglobal WMC Festival Awards are already published. The agenda of fairs and meetings goes on and I want to send a farewell full of gratitude to David Ibáñez, now former artistic director of Fira Mediterrània de Manresa, who trusted us and booked from us Carles Dénia in 2015 and Janusz Prusinowski Trio with Manu Sabaté in 2018. David, we’ll miss you and wish you the best success of the world! The Fira is currently in the process of selecting the new artistic director. We will inform about the selection in our next monthly newsletter.We continue the series of little interviews with festival directors and in this occasion it is a festival from my own country: Poborina Folk. And below you’ll find also some open calls for you to check, including one from Mapamundi Música. The results of the first edition of these Festival Awards have been published this morning. The top 10 of global results is this. Check the website for the results in the different categories and some learn about the criteria, procedure and definitions. · Europe for Festivals, Festivals for Europe. There have been so far 2 editions: 2015-2016 and 2017. Will it happen again? We’ll try to find it out and, in the mean time, they also provide the EFFE Label, Europe’s quality stamp for remarkable arts festivals and the application period is currently open.· Iberian Festival Awards, not exclusively for world music festivals and oriented to Iberian festivals and this year the awards ceremony will take place on 13th of March. · And… what more? We are planning to make a comprehensive list to share it with the world music community. If you have any tip, let us know. If we get a bunch of awards we’ll edit a document and will share it publicly. · We, I mean, Mapamundi Música, have open a gathering of proposals for an intimate and little line-ups concert series. Calling for duos to quartets, able to play with no amplification.Send your info, here. · Mapas (Tenerife, Canary Islands, Spain). Application open until February 15th. TODAY, it closes at 22h in Canary Islands time. You have some few hours after we sent this! · Fira Mediterrània de Manresa. As announced above, the artistic direction is changing but the application is open now, until 4th of March at 15h local time. Apply here. · fRoots magazine is awarded with “Lifetime Achievement Award” from Folk Alliance International conference. Congratulations, Ian Anderson and team of fRoots! · Check here the list of the “50 Greatest World Music Albums of the Last Five Years” by Jo Frost and Simon Broughton from Songlines. I agree with many and I would have included some wonders like Po Kolana W Niebie, by Janusz Prusinowski Trio or Angathin by Monsieur Doumani, but it is great to remember so many beauties like Saz’iso’s or Söndörgő’s albums. Thank you, Jo and Simon! In this occasion we pay attention to a festival from our country. 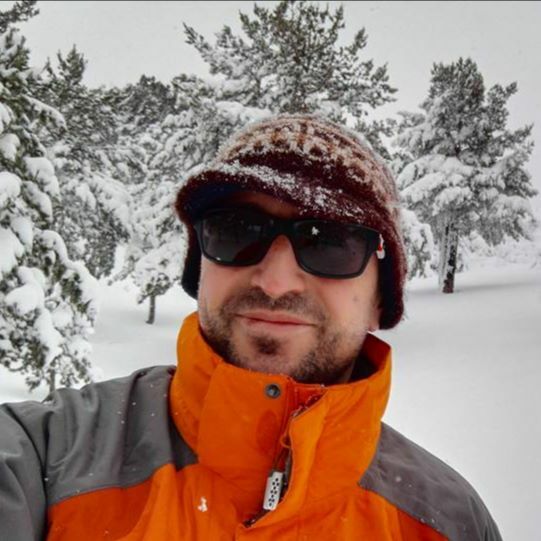 The picture of Sergio doesn´t evoke the usual image of Spain but the true is that our country is super diverse and El Pobo, in Teruel province, one of the most depopulated areas in Europe, Winter time is cold and, very often, snowy. Poborina Folk talks place in this little village since 1999 in the weekend most near to the Summer solstice. The program includes concerts of local and international artists, activities inspired on the tradition and the rural environment, like singing the albada for San Juan, traditional cooking and workshops. Sergio is part of a big team of enthusiastic lovers of music and party. SZ – First of all, we want them to make a style of music that fits somehow in the festival and which live show was able to capture the attention of the public. And, after that, as programmers, we must consider the budget we have, as some of the bands that we explore, some times we can´t affort to pay them. SZ – Poborina Folk has proved during the over time that it is a festival that has successfully adapted to the passage of time without giving up the objectives it was born with, that are to disseminate folk music, opting for providing to the public a wide variety of styles and full filling the cultural proposals with family activities. SZ – The fact of being held in a locality that does not exceed 50 inhabitants during the year and has limited infrastructures undoubtedly conditions the organization of the festival. For example, we do not have any type of accommodation for groups or visitors in El Pobo. Despite the economic difficulties, we want to maintain the free nature of the festival, so we must optimize resources. Note that the entire festival is organized by volunteers. However, these difficulties mean that the festival has a special charm and has managed to maintain its identity, differentiating itself from other events.MM – Which are currently the main challenges for this kind of cultural proposals like yours? SZ – In our case, after 20 editions, the main challenge is to give continuity to the project, maintaining a varied program, with high-quality, that helps to maintain the magical atmosphere that surrounds the festival. We are proud to count year after year with a loyal audience that is accompanied by new people who discover the festival for the first time and are pleasantly surprised.MM – In one sentence, summarize the reason/s to go to your festival. SZ – Discover the magic of celebrating the summer solstice in Poborina Folk. Picture: Sergio Zaera in a picture stolen from his facebook. a superb end of the year, strenght, wisdom and much success for 2019. It is the time of the year where the charts and lists are published so we review a bunch of them. The results of the Transglobal WMC Festival Awards will be published at the very end of the year. I invite you to subscribe to its news lists. The activity of fairs and meetings continue soon and we’ll pay attention to some of those events to come. We continue the series of little interviews with festival directors and in this occasion we look at Japan, with Sukiyaki Meets the World, by Nicolas Ribalet. Summary: Charts time. Open calls. Meetings to come. Miniinterview with festival director: Nicolas Ribalet. Of the thousands of charts published at this time of the year, we have to select a few ones. Some albums have had great success, for instance Soar, by Catrin Finch and Seckou Keita, that is probably the superwinner of the year. Also Fatoumata Diawara‘s Fenfo, Monsieur Doumani‘s Angathin and the compilation of Dur-Dur Band have got much success. Congratulations to them, to all the artists and record labels for the amazing and devoted work one year more! And congratulations also to Maria Kalaniemi for her State Prize for Music. · fRoot Best of 2018 by the Critics Pool. The selection is made by many critics from the world. I am proudly one of them. How many are we? The last years it is not public. Check the analysis of the 33rd edition of the annual Critics Pool made by fRoots staff HERE. 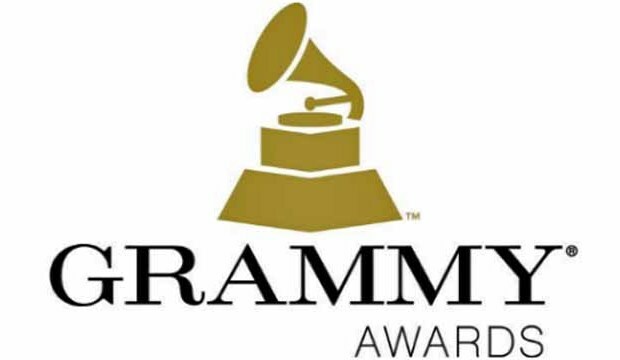 · Grammy. Just to name a few world music artists nominated in several categories: Orquesta Akokán, Fatoumata Diawara, Bombino, Seun Kuti, Yiddish Glory or Opium Moon. Bravo! · Atlantic Music Expo (Praia, Cabo Verde). Application open until December 31st!!! · Mapas (Tenerife, Canary Islands, Spain). Application open until February 15th. · APAP World Music Pre-Conference, probably the most early rising proffesional event on the year, will take place on days 3rd and 4th of January in New York. It is produced by the team of Globalfest (that will take place on 6th of January) and rock paper scissors. · Folk Alliance Conference 2019 will be in Montreal, Canada, from 13th to 17th. In this edition, the conference theme will explore the artistic process from inspiration to vocation. · Mediterranean Music Festival. Switzerland. 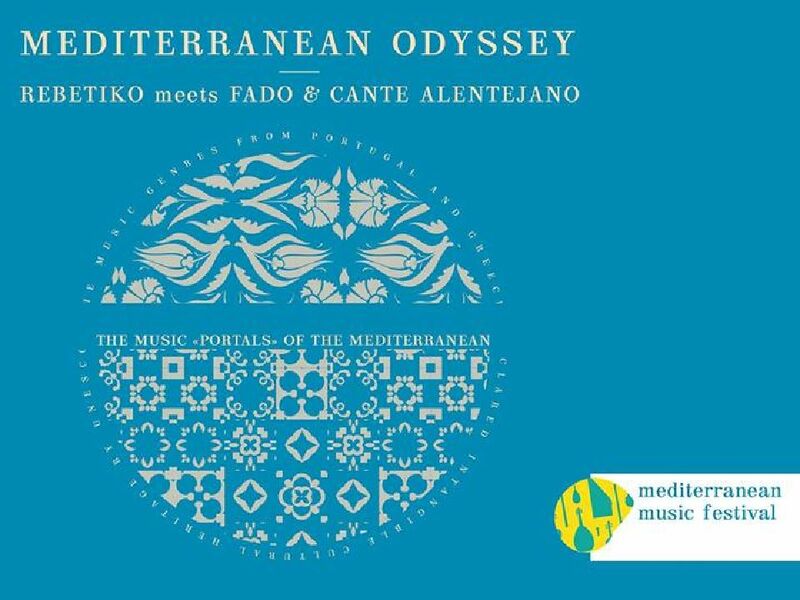 Of the festivals to take place in the following months, I am personally moved by this because it will hold the world premiere of Mediterranean Odyssey: Rebetiko meets Fado und Cante Alentejano, with artists of À Porta do Cante, the fado singer Maura and the superb artists ofRodopi Ensemble, with the music direction of Alkis Zopoglou and the advice of Prof. Lambros Liavas. CURRENT AND FUTURE CHALLENGES FOR FESTIVALS. If you haven´t read them, you can find the previous interviews clicking on the names: Michal Schmidt (Folk Holidays, CZ), Jun-Lin Yeoh (Rainforest WMF, MY), Luís Lles (Pirineos Sur, ES), Amitava Bhattacharya (Sur Jahan, IN). Sukiyaki Meets The World takes place in August in Nanto-city (Hokuriku region, Japan) every year since 1991. It is entirely organized by local citizens (250 persons). With 4 stages and 12,000 visitors every year, it is the oldest and biggest event in Japan completely dedicated to Word Music. With more than 150 workshop, residence program, all the generations of the city are involved, throughout the year. NR – Quality, creativity, originality. Projects have to be solid enough to attract attention in the medias in Japan, and to sale tickets (high fares in Japan). They also have to be professional enough to adapt their working method to the Japanese market. NR – Development of the cultural activities in Nanto region, education of the local community, diffusion of the world music in Japan. NR – The interest for foreign music is limited in Japan, and often restricted to (very) narrow niches. It is very complicated to gather those cores into a same event. NR – The Sukiyaki festival runs since 1991 (28th edition this year). It is fully organized by volunteers/citizens. Keeping the dynamic, educating new staff, adapting the structure are complex challenges. NR – Taking place in the small village of Nanto, surrounded by rice fields, it gathers the homemade taste of the local community and the highest artistic quality since 1991. I am Araceli Tzigane. Welcome to Mapamundi Música’s November newsletter. Here we are, working on the next season bookings and novelties! At WOMEX I attended the presentation of Creative Europe offices from Spain, Netherlands, Portugal and UK-Wales, where Music Moves Europe, the “overarching framework for the European Commission’s initiatives and actions in support of the European music sector“, was presented. What can we expect from this, as agents of the world music scene? Find below a brief summary to get an idea. 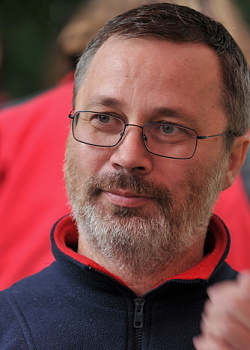 We include in this newsletter another little interview with a festival director. If you have any suggestion of contents for the next editions, let us know. Thanks for your attention. This article is specially interesting for Europeans and I think it is also informative for the other continents. But if you were not interested, please, don´t miss the interview with the enlighting Amitava, below. Music Moves Europe (MME from now on) is currently on a step of “preparatory action”, with the motto of “Boosting European music diversity and talent”. Undoubtedly, we the agents of world music know much about diversity and talent. How can it be useful for us? At the moment, the four calls related to this preparatory actions are closed and the results not published yet. But, what have been done so far and how is the world music scene involved, if so? Find all the official details, here. And I continue with my insights: one of the key events has been an “in-depth conversation with the music sector in Europe”, which results are published here. In pages 49 and 50 you can find the participant’s list. I don´t know each and everyone but it seems there is a lack of agents of world music scene. Just to name the one that instantly springs to mind: Womex. Not even the world leader trade fair that has been gathering data for 24 years and that has exported their expertise to other continents was present there. MME actions include also a talent award for popular and contemporary music, whose winners will be announced next January. This prize is successor of the former one, with that boombastic name of European Border Breakers Awards, which 2018 winner are here. Ah, I got it: to break European borders, it is a must to sing in English, no matter where you are from*. Congratulations. 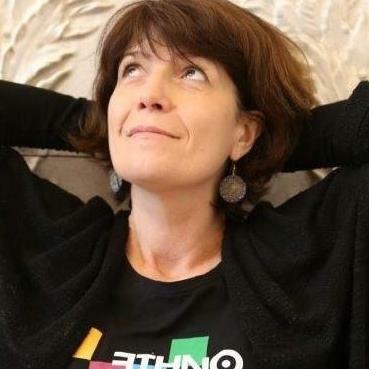 Can we keep any hope about Creative Europe for world music scene? Well, apart of considering that our world music scene may need a deep self-analysis too, while checking the results of the latests calls for cooperation, I found a project that got support and whose creators are focused on world music. That is the project 2020 Troubadours, lead by Via Lactea, the Belgian agency, in cooperation with FlonsFlons from France, EtnoFest from Serbia and Mediawave from Hungary. Via Lactea are kindly sharing the complete application form in their website. Congratulations and much success and joy for all the team of Troubadaurs 2020! * Salvador Sobral sings 3 songs in Portuguese and one in Spanish in his last album Excuse me. The rest are in English. His song for EBBA was in Portuguese. A happy exception. ** Do you have a world music festival and you want to be included in our mini interviews? Contact us. After the mini interviews with the director of Folk Holidays, Michal Schmidt, of Rainforest World Music Festival, Jun-Lin Yeoh, and of Pirineos Sur, Luis Lles, in this occasion we travel to Bengal to visit Banglanatak Dot Com, the company lead by our guest. Sur Jahan, formerly named Sufi Sutra, takes place in Kolkata (1-3 February) and Goa (6-8 February). Banglanatak Dot Com is a company dedicated to culture for development and they carry out many other initiatives related to traditional music, art and handicraft for the improvement of living conditions, as well as for enabling the access to others’ cultures. AB – We want to present diversity of culture. And thus each year we try to present variations with excellence. We also try to keep women participation. We don’t much entertain electric instrument or electronic music. Vocal is a must for our festival. Usual size of the band is 4 to 7. AB – Strengthening Cultural Exchange and celebrating cultural diversity is the basis of our festival Sur Jahan, which has a theme MUSIC FOR ALL, MUSIC FOR PEACE. AB – Getting the right music band within budget (he smiles). Ours is a non commercial festival and we don’t much approach corporate sponsor. We do the festival from our own budget and thus limited too. AB – Its 8 years old festival, more or less the process is streamlined, Internationally people know about the festival. Audience is eager to attend it. So not much of challenge really. AB – There may not be a festival like this, that’s what all participating bands and audience says each year. All bands stay together for 3 days in Kolkata, travel together to Goa and then stay together again. So, friendship get developed, new music happens then and later. We also present a traditional music based opening and create a festival band with members from all bands to present at Grand Finale. Our traditional folk stage is also very popular. 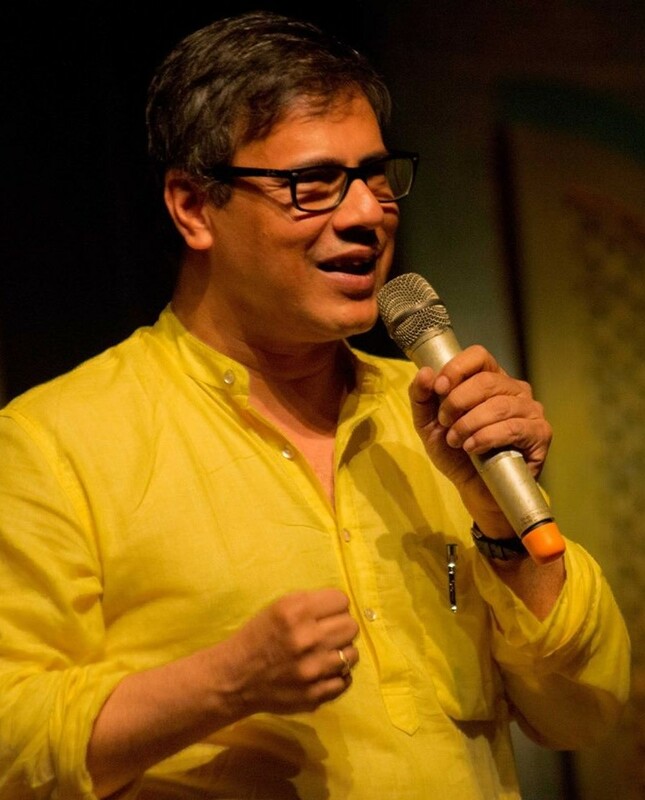 Picture: Amitava Bhattacharya’s former Facebook profile picture. I am Araceli Tzigane. Welcome to our October newsletter. We are very busy, as probably you, because we travel to Canary islands for Womex very soon! · All the delegates will receive our compilation promo CD, inside Womex bag, when registering. See it below! · We have the showcase by Gulaza!!!! · Our sister initiative, Transglobal World Music Chart, has colaborated again this year with World Music Charts Europe and Womex for the selection of the Label Award and we will be present there to congratulate the winner. We include in this newsletter other two little interviews with festival directors. I hope you’ll find them intesting. And if you have any suggestion of contents for next editions, let us know. Thanks for your attention. Summary: Womex Label Award, mini interviews with festivals directors: Jun-Lin Yeoh (Rainforest World Music Festival) and Luis Lles (Pirineos Sur). 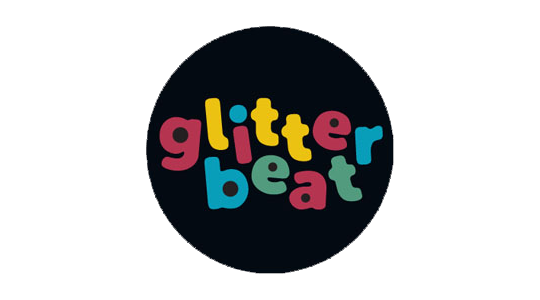 WOMEX LABEL AWARD GOES TO… GLITTERBEAT!! Yeah, it is not much surprising as they have to it for the 5th time!! Congratulations! Together with World Music Charts Europe, our sister project Transglobal World Music Chartmakes for Womex the selection of the Label Award, that is based on the broadcasting and the voting during the previous year. It will be given to the owners of Glitterbeat at the closure ceremony of Womex. Araceli will have the big pleasure of congratulating them at the stage. It will be included in the Womex bag for delegates but if you are not coming to Womex and want it, just let us know.We have included some of our main proposals, with the agreement of the artists and of ARC Music, that releases the works of two of them:Vigüela and Rodopi Ensemble. The last month we started this series of mini interviews with the director of Folk Holidays, Michal Schmidt. If you missed it, you can read it here. We launch now other two. 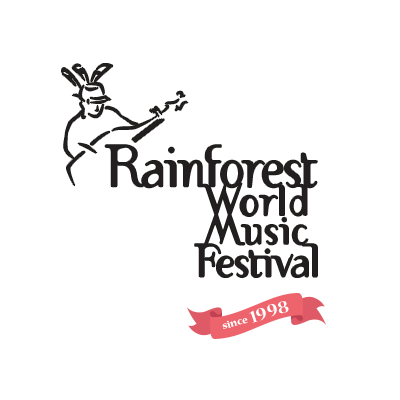 Rainforest World Music Festival takes place in July in Sarawak, a Malaysian region in the island of Borneo. JY -Something that will suit the stages and venues of the festival. Something that will complement or be nicely different from other acts to make a nice contrast. Something with interesting ethnic instruments. A band with presence and projection. JY – To showcase music from different cultures. To emphasize the importance of preserving traditions. JY – Logistics and travel. JY – Logistics, finance, travel. MS – The unexpectedness of finding music from all over the world in Borneo. Pirineos Sur takes place in July in the villages of Sallent de Gállego and Lanuza, in the province of Huesca (Spain), at the top of the Pirinees. LL – Due to the monographic character of some of the sections of the festival, we look for artists that fit in the thematic axes that the festival has each year. And then, above all, we prioritize the originality of the artist, that possesses a unique and non-transferable universe. We do not like artists who simply copy success formulas. Sometimes, we also search a certain heterodoxy or peripheral character in the artist. This always how the most interesting things happen. LL – Due to the entry into force of the new Contracting Law, the main difficulty we are facing is the increasing bureaucracy and the increasing deadlines that are required for the hiring of artists, production teams, etc. Another important difficulty is that since the festival is located in a small town in the Pyrenees, it is much more difficult for us to travel, hospitality and even convince certain veteran artists (and therefore less predisposed to certain adventures) to come to play to a so recondite and, nevertheless, so beautiful place. 2) the “festivalitis”* that this Spain suffers and that makes the competition harder and harder. We must remember that when Pirineos Sur emerged, on the horizon there was almost no other festival in Spain, and I do not mean a world music festival, but of any kind of music. In 1992, Spain was a desert in terms of festivals. LL – It is a friendly festival, fully enjoyable without stress, family oriented, with very attractive proposals that prioritize diversity above all. In short, it is THE festival of the quality of life. * This term refers to a overabundance of festivals in Spain. ** Do you have a world music festival want to be included in our mini interviews? Contact us. We also support our mission through our Mundofonías radio show, probably the leader about world music in Spanish language (on 46 stations in 17 countries), the Transglobal World Music Chart with our partner Ángel Romero from WorldMusicCentral.com, the #TremendAgenda and Asociación para la Difusión de los Estilos. I am Araceli Tzigane. Welcome to our September newsletter. 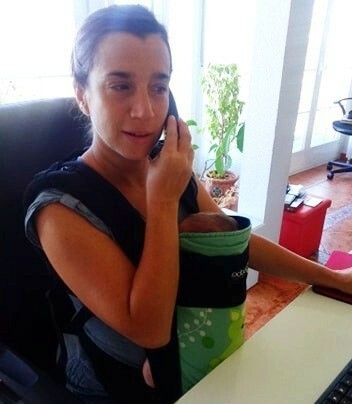 It is launched with a little delay because, in this meantime, a new Mapamundi member arrived to our lifes. Sherezade is on maternity leave but she came today with her new son and allowed me to take this funny picture of them for the newsletter. Congratulations, Shere! In parallel, fair season arrived, so we pay attention to some ones that we have already mentioned in previous editions and a couple more. We also start a series of mini interviews with directors of festivals, in the search of the new challenges that the festivals are facing nowadays and in the near future. We are grateful for the answers we have had so far and we’ll send all of them in this and the succeeding newsletters. I hope you’ll find it useful. And if you have any suggestion of contents for next editions, let us know. Thanks for your attention. Summary: upcoming fairs, mini interviews with festivals directors, new events included on #TremendAgenda. Many professional fairs and showcases festivals have emerged in recent years. Only time will say if it’s a bubble or a sustainable development path. In the meantime, the world music community doesn´t have time for getting bored. These are just a few of the options for gathering. Fira Mediterrània de Manresa, in Catalonia, celebrates its 21st edition. Many local proposals as well as a few carefully selected international performers, plus professional conferences, speed datings, a business area… in the charming environment of the city of Manresa. 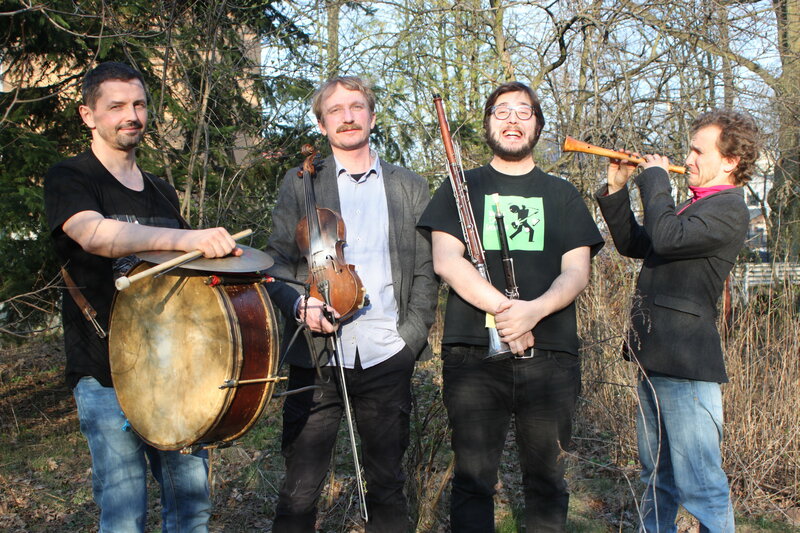 In this edition Mapamundi Música presents the Polish-Catalan collaboration of Janusz Prusinowski Kompania and Manu Sabaté. 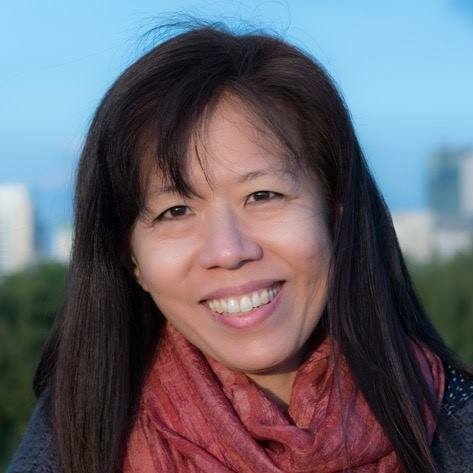 Learn more about Fira here. WOMEX is undoubtedly the queen of world music fairs. Little else is needed to say about this itinerary event that gathers near to 3000 professional from all over the world and this year will take place at Las Palmas de Gran Canaria, that is officially our country, Spain, but is geographically Africa. In this edition Mapamundi Música presents the showcase by Gulaza. Learn more about WOMEX here. Visa for Music has as first goal to highlight the artistic creation of Africa and the Middle-East. It’s 5th edition will take place, as usual, in Rabat (Morocco). It is directed by Brahim El Mazned, musical activist responsible also for the amazing compilation of 10 CDs Chikhates & Chioukhs de l’Aïta: Anthologie. The complete selection of artists for Visa for Music 2018 is still not published. Learn more about Visa for Music here. PAMS is, in words by Juan Antonio Vázquez, who has been there in 2016 and returns next November, “a very colourful and stimulating showcase about what’s up in performing arts (music, dance, theatre…) all over the world and specifically in fascinating Eastern Asia”. Learn more about PAMS here. 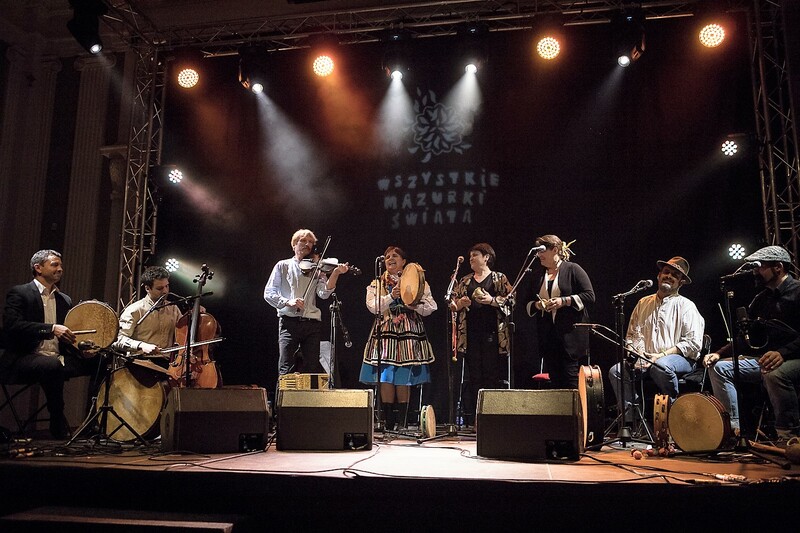 We start this series of mini interviews with the director of Folk Holidays, festival that takes place in Náměšť nad Oslavou (Czeck Republic) at the beginning of August. Thank you, Michal! MS – I search artist who have music as the first thing, who are specific, who are not only entertainers, who fits to my theme of our festival, who fits to our environment, who excited me by their music. MS – The main objective is to bring eight evening special concerts blocks. The whole festival has one basic theme every year, and each concert block usually consists usually from three bands and has specific title and dramaturgy. I want to bring complete evening program as the whole, which has the own title, logic, specificity, uniqueness, discovering for visitors, delights for musicians from these concerts. I pepare a special short residence projects with final concert. MS – The most complicated issue is a financial issue. We must prepare enough incomes from grants and sponsorships from partners. MS – The main challenge is to develop more short residence cooperation projects with a special theme. 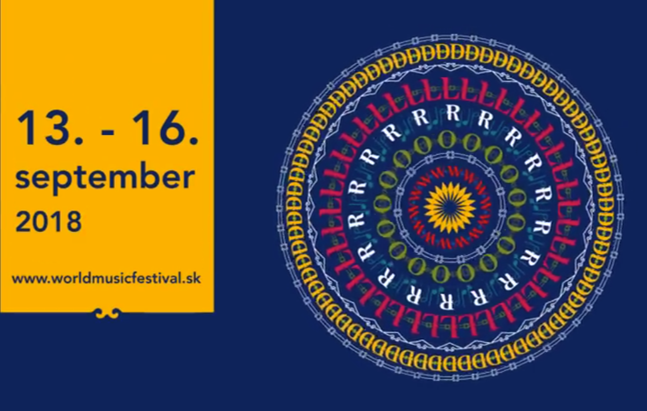 MS – Our festival is chamber family 8-days festival in the environment of Rennaisance castle with specific dramaturgy of unique world music, jazz, folk concerts and workshops. Fira Mediterrània and Womex, where we have showcases of artists of ours: Janusz Prusinowski Trio with Manu Sabaté and Gulaza, respectively. Welcome to our August newsletter. During these days Sherezade is enjoying holidays and Araceli is having some office work between tour and tour. Wherever you are, we hope you’ll find it useful. And if you have any suggestion of contents for next editions, let us know. Thanks for your attention. 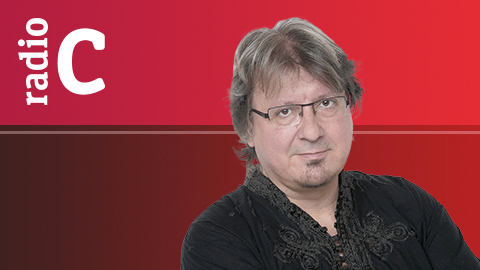 Juan Antonio Vázquez, from Mundofonías team, is producing this new radio show on RNE – Radio Clásica, during the Summer. If you are an artist, producer, disseminator or just interested in music from the many orients, like Arab and North African, the Turkish, the Persian, the Central Asian, the Indian subcontinent´s, Chinese, Japanese, Korean, Mongolian, Southeast Asian… take a listen. You can get in touch with Juan Antonio at this email. By the PICE grants, AC/E supports finantially the logistic expenses to the institutions and festivals that want to have a Spanish artist in their program. This period applies for the events that will take place in the first half of the following year. In March, AC/E opens a new period, for the events taking place on the 2nd half. Check the conditions at their website. And remember that it can be requested for Mapamundi Música’s Spanish artists El Naán and Vigüela. Feel free to request more info. We have collaborated with some festivals to get the support with success. The 3rd edition of the festival offers a showcase session of Slovak bands, a conference and a workshop of flamenco guitar. And, apart of the aforementioned, the festival includes concerts by artists from Slovakia, Chile, Ghana, Israel, Spain, Greece, Serbia, Hungary, Austria and Great Britain. The festival will also host the annual meeting of the EFWMF so many of the directors of the associated festivals will attend as delegates. Check the list here and let Araceli know if you go, as she will be there. Until next Friday you can still get discounts and, more important, be included in the printed guide. You can check the current prices and register at their website. After day 17th the price gets more expensive and it won´t include the presence of delegates and companies on the printed guide. As mentioned above, at Bratislava World Music Festival (Slovakia). After that, we’ll be very busy preparing ourselves for Fira Mediterrània and Womex, where we have showcases of artists of ours: Janusz Prusinowski Trio with Manu Sabaté and Gulaza, respectively. 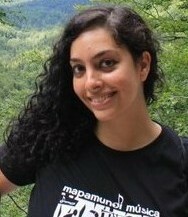 Mapamundi Música is an agency of management and booking. Check our proposals at our website. We also support our mission through our Mundofonías radio show, probably the leader about world music in Spanish language (on 46 stations in 17 countries), and theTransglobal World Music Chart with our partner Ángel Romero from WorldMusicCentral.com. In our aim of creating bridges and disseminating useful info for the community of world and traditional music we launch this Mapamundi’s monthly newsletter. We hope you’ll find it useful and if you have any suggestion of contents for next editions, let us know. Thanks for your attention. 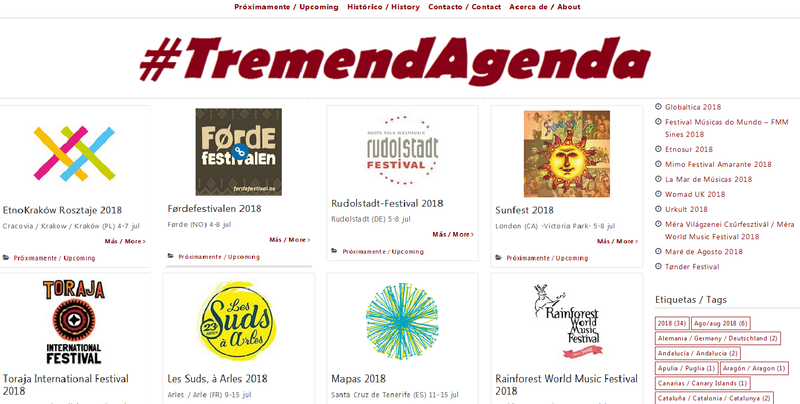 Desde su lanzamiento a comienzos de Junio, #TremendAgenda ha presentado 47 festivales de todo el mundo. Cada entrada de la web es una edición del festival, de manera que no se trata de una base de datos de festivales, sino de una agenda calendarizada con eventos históricos y en curso, con un enfoque global. 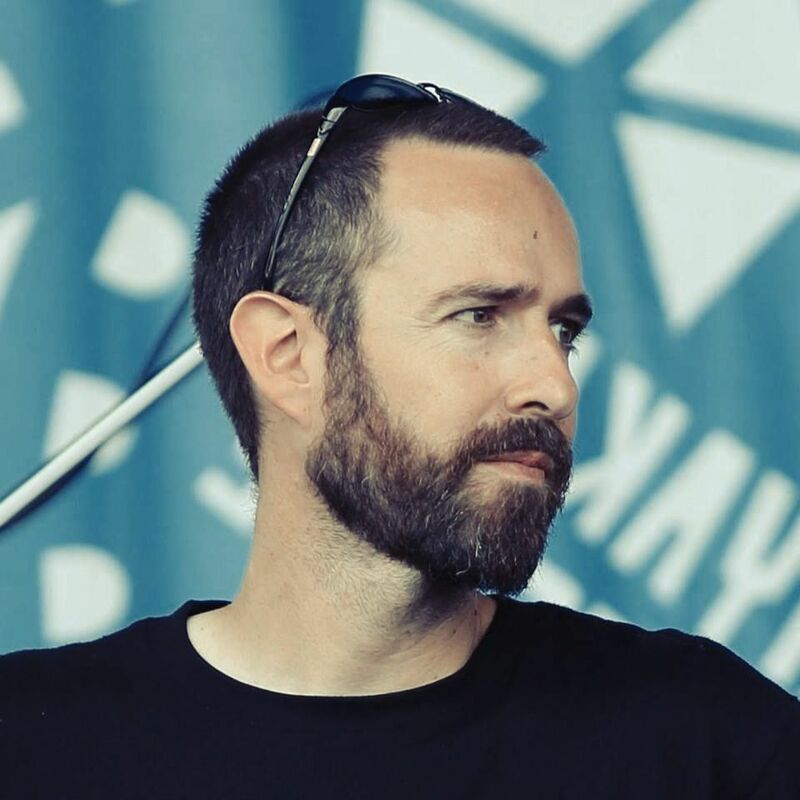 The new director is Per Idar Almås, a 37 year old man, coming from a position in the Bergen International Festival and also the director of Gloppen Music Festival, a chamber music festival in the neibouring community of Gloppen. The 21st edition of the Fira (October, 4th-7th) continues raising traditional expressions like the iconic castells, circus, theatre and, of course, music. This edition’s topic is Rituals. Check the program here. 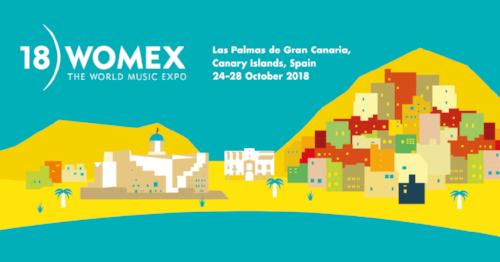 For its part, Womex (October, 24th-28th) will take place at Las Palmas de Gran Canaria and will present more than 40 artists. Check the confirmed ones here. 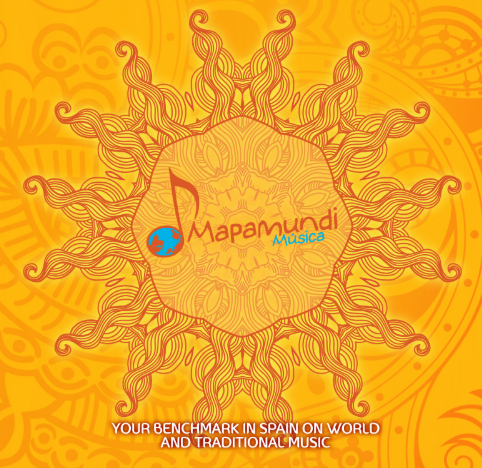 Mapamundi Música will be at Fira Mediterrània with our own stand and at Womex (stand Sounds from Spain). Araceli Tzigane will attend FMM Sines from 19th to 22nd of July, on occasion of our concert by Monsieur Doumani. You can find her also at Folk Holidays, for the participation of Vigüela and Janusz Prusinowski Kompania with Maria Siwiec. She’ll be there from July 31st to August 2nd. Check our calendar of concerts here.